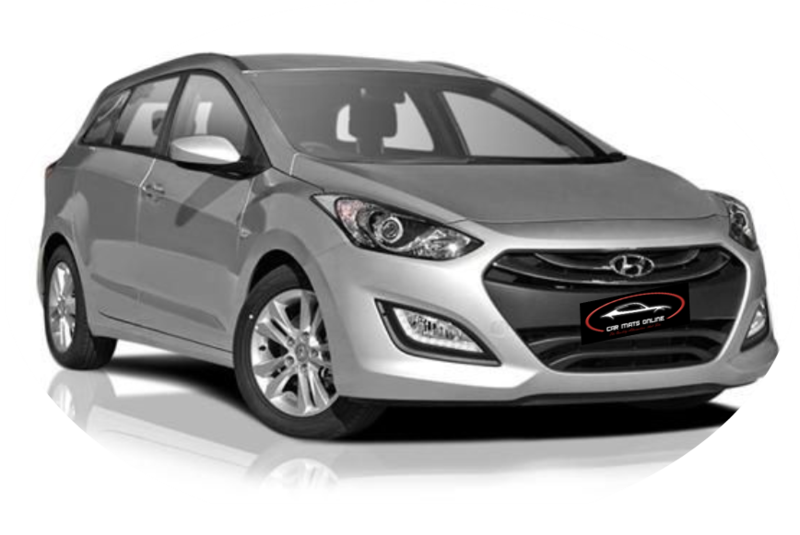 These Hyundai i30 Car Floor Mats are an exceptional aftermarket accessory. These car floor mats have been made to fit perfectly into your Hyundai i30 GD and GD Tourer. The carpet floor mats are made of high quality, tough and durable OEM 500gsm Polypropylene. The mats are available in Black only and feature the embroidered i30 logo on the driver and passenger mats. Mats arrived in good order - fitted well. From choosing the right mats to the delivery the whole process was seamless. Great quality product and timely delivery with tracking for each step of the process. Thank you. Good quality, perfectly sized to fit my car, and a great price. Ordering was quick and easy, and delivery during the busy Christmas period was fast too. I recommend using Car Mats Online to anyone looking to avoid the high prices charged by car dealers. Great quality and received the mats within days of placing my order. Most generic mats just did not fit the area properly but these are made for this model so fit perfectly. They were quite reasonably priced. Quality product with exceptionally fast delivery. Fits the car perfectly. I wouldn't hesitate to deal with Carmatsonline again.